Claire Ciardiello is only 13 years old, but looking at her long list of achievements you wouldn’t know it. The aspiring dancer is a ballet dancer, dance student and teaching assistant at Kick Dance Studios, and a participant of the Broadway Dance Center’s prestigious Junior Training Program. That list goes on and on, and is guaranteed to continue to grow. The world of dance has not only opened up opportunities for the young performer, but also Claire’s personality, passion and persistence. “This is her life and this is her love,” said her mother, Dawn-Marie. Claire has been able to pursue her dancing dreams through Kick Dance Studios, a NJ dance school with locations in Fair Haven and Rumson. After taking a few classes at the studio, Claire realized she wanted to continue to improve, learn and have the opportunity to perform. She knew Kick Dance was the place for her. Dawn-Marie is quick to give credit where credit is due, and a large part of that goes to her daughter’s determined nature and love of dance. But a part of the credit also goes to the dance instructors at Kick Dance. 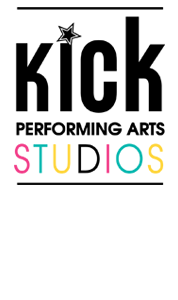 The instructors at Kick Dance have different specialties and focuses to ensure that every student gets the attention and knowledge needed to succeed. But the instructors’ goals are not to just teach dance, but to help grow students’ confidence and teamwork skills. Those life lessons are paying off. Claire auditioned and was selected for the prestigious Junior Training Program at the Broadway Dance Center (BDI) in New York City for the summer of 2015. The Center is a professional school and the majority of clientele are current Broadway dancers and aspiring Broadway dancers. The Center offers those still in school a chance to figure out if dance is really what they want to do by offering training programs. Claire is the only Kick Dance student participating in the BDC summer program this year, and is the first Kick Dance student to make it into the program. She is following in her instructor’s footsteps by training at BDC. Vanessa Berry, owner of Kick Dance Studios and an instructor at the studio, trained at The Broadway Dance Center. “I can’t wait to introduce Claire to some of my favorite teachers and mentors,” said Vanessa. And if her list of achievements wasn’t long enough, Claire can also claim Kick Dance teaching assistant on her 13-year-old resume. She just completed her second full year of teaching at the studio. Teachers at Kick Dance identify strong students who they feel set the best example for other students, are serious about dance, hard working and focused, and those students assist instructors during classes, giving students someone to shadow during teaching. The Ciardello’s involvement with Kick Dance doesn’t end at dance performance. Dawn-Marie’s professional life coincides beautifully with her daughter’s dance life. She owns Posh Pink Tutus, a custom costume design shop, and Dawn-Marie designs and creates costumes for Kick Dance recitals. Last season, she designed and made 150 costumes for the teams’ performances. You name it, Dawn-Marie has made it. The mother-daughter team is unstoppable, and Kick Dance has provided them with a prime opportunity to shine.